Home>New Songs>slowthai Songs> Slowthai Drops Off New Track "Gorgeous"
slowthai announces his debut album with a brand new single. U.K.'s slowthai's been paving his own lane over the past few years. His 2018 drops have helped him garner a stronger buzz in North America. The rapper's gearing up to release his debut project and now, he ushers the roll out with his new single, "Gorgeous." 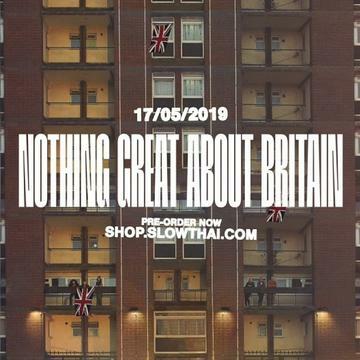 slowthai announced his debut album, Nothing Great About Britain earlier this week and released his single, "Gorgeous" to kick off the campaign. "Gorgeous" isn't as rowdy as some of his other releases. On his latest track, he hops on sample-based production while reflecting on his come-up. Nothing Great About Britain is due out on May 17th. The rapper holds down the project on his own but he does enlist Jaykae and Skepta for some assistance on the project. SONGS Slowthai Drops Off New Track "Gorgeous"